"Start a green living from the heart. Be environmentally friendly and save our mother earth." Adhering to the six R’s means to Refuse unneeded items. Reduce those items which are not really needed. Reuse the items we have already bought. Repair the things which are still usable. Recycle the things which are inapplicable to the above R’s, and Renew the things which can become renewable resources. 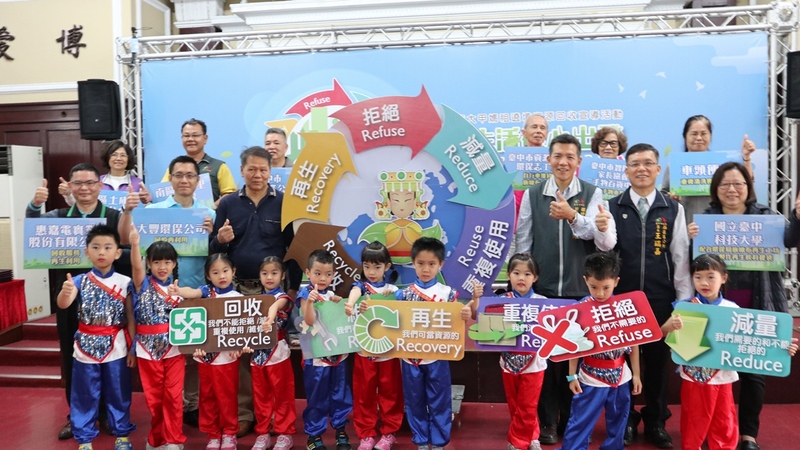 Taichung Environmental Protection Bureau will hold five recycling redemptions areas for patrons following the way of the Dajia Mazu Pilgrimage in response to environmental protection. Every year, the believers of Dajia Mazu set up food stands along the way; providing water and meals for the pilgrims who follow Mazu. This increases the use of disposable cutlery. 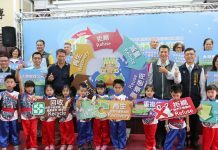 The Taichung Environmental Protection Bureau has therefore come up with this slogan and wants to promote the reduction of disposable cutlery from sources such as this pilgrimage. The Taichung Environmental Protection Bureau, in response to environmental protection, will set up five recycling redemption activities, where citizens on the way to and from the Dajia Mazu Pilgrimage can dispose properly of their recyclable waste. People who have recyclable waste; such as spent batteries (including button batteries), CDs, tablet PCs, and cell phones, can redeem them and in return get some ‘freebies’. These freebies include useful products such as cultivatable soil, ceramic knife sets, fruit fork sets, dishwashing liquid, and glass storage containers. 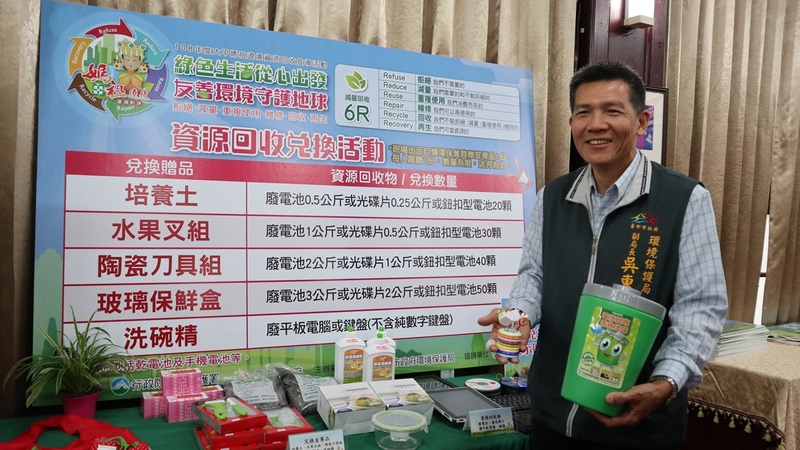 The recycling redemptions dates will be on April, 7th at Dajia Wenchang Park, 8th at Shalu Qinshan Temple and Dadu Yonghe Temple, 15th Qingshui Chaoshin Temple, and 16th Waipu Taoist Temple. Also, during the Dajia Mazu Pilgrimage, if you bring your own cutlery, you can get freebies as well, however, there is a limited supply only. If you want to know more about the redemption activities, you can visit the Taichung Environmental Protection Bureau website.